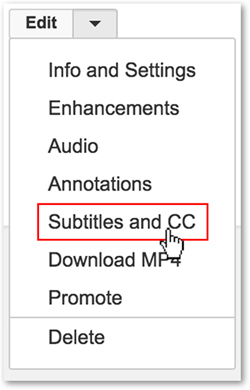 Note: If you want to add captions/subtitles to your YouTube video, you must own the rights to the video. The video must be on your channel, not someone else's. 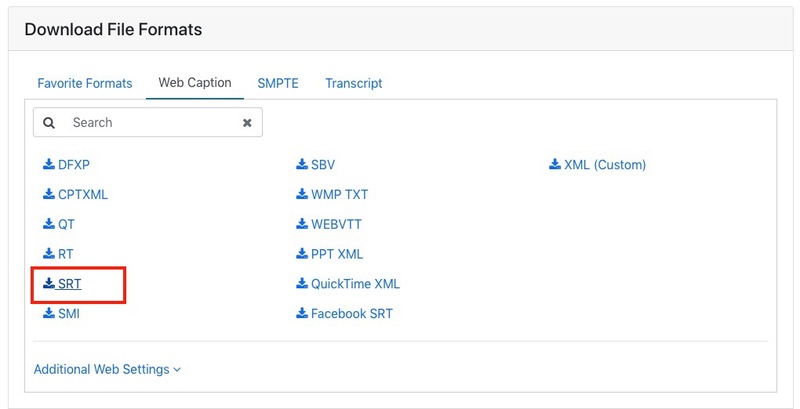 Once logged into 3Play Media you will be directed to the My Files page. Click the file's name to open the file show page. Click the Download button on the file show page. Click SRT from the Web Caption Formats section. Once clicked, the file will download in the SRT caption format. Please note vertical caption placement is not supported by the SRT format. 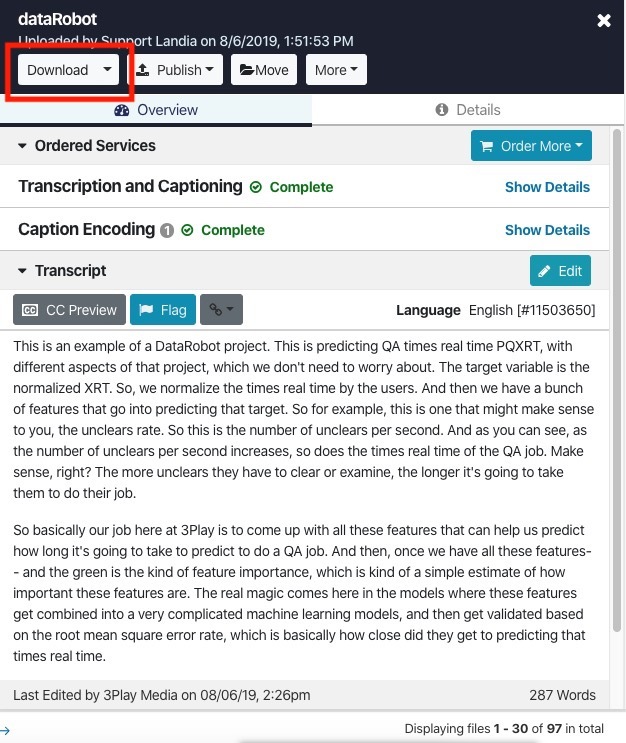 If caption placement was ordered for the file, instead of SRT, download the file in the webVTT format as webVTT does support caption placement and is also accepted by YouTube. Sign into your YouTube account, then go to Creator Studio and click Video Manager > Videos in the lefthand menu. Expand the drop-down menu next to the Edit button for the video you would like to add subtitles to. 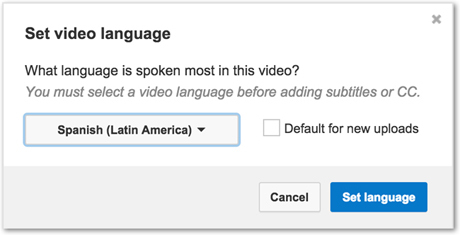 Select the original spoken language of the video if you have not done so already. 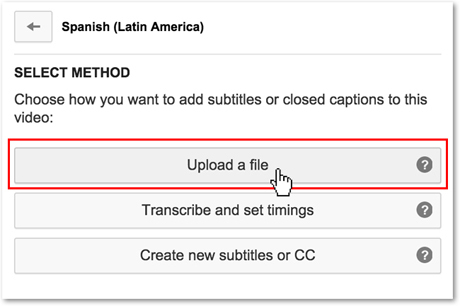 Select the language of the subtitle or caption file you want to upload. 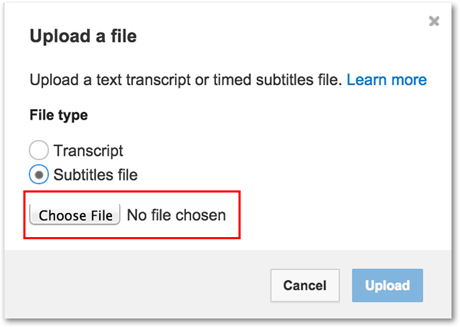 Select Subtitles file, click Choose File to select your desired file, then click Upload.